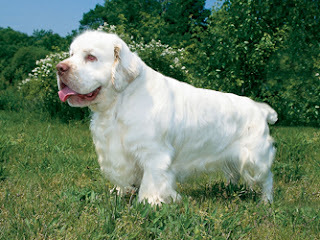 This breed was made in England during the 14th century and in 1884, it became one of the first ten breeds to be recognized by the American Kennel Club. It is named after the Clumber Park in Nottinghamshire. It is an avid hunter and is excellent for hunting pheasant and partridge. They have excellent stamina and subsistence. They are very affectionate but to a stranger very ferocious. Several habits such as constant shedding, snoring and drooling are considered to be a disadvantage of this breed. Their average life span is 10 to 12 years.